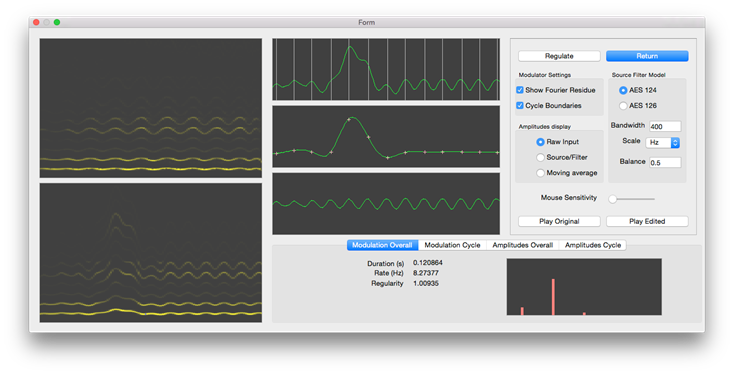 Harmonic visualiser is a high-resolution audio analysis tool affording detailed descriptions of musical notes which can then be manipulated in a variety of ways. CView performs automatic recogntion of chords in music, and allows reauthoring of the transcriptions. Ken O’Hanlon is a postdoctoral researcher at C4DM. His research focusses on processing musical signals to extract meaningful and useful information.